Thàinig dearbhadh, mar a bha dùil, bho Tata Steel gu bheil iad a' gearradh 1200 cosnadh. Bidh 270 dhiubh sin ann Alba, eadar 225 cosnadh ann an Tobar na Màthar agus 45 aig Camas Lang. 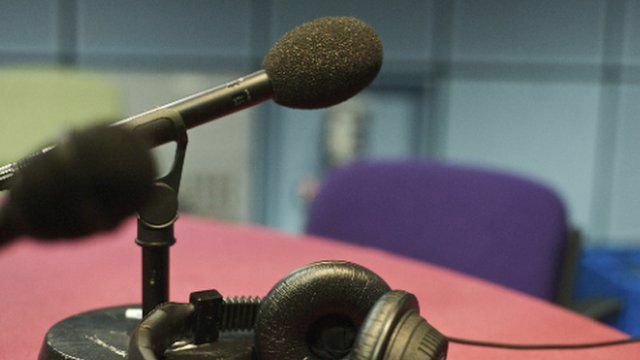 'S e an t-ionad ann an Scunthorpe ann an Lincolnshire as motha a dh'fhulaingeas le call 900 cosnadh. Tha an gnìomhachas ag ràdh gur e farpais bho stàilinn shaor à Sìona as motha a tha a' toirt buaidh orra. Thuirt Dàibhidh Camshron gun tog e a' chùis sin le Ceann-suidhe Shìona air a thuras stàite a Bhreatainn. Tha turas a' Chinn-suidhe, Xi Jinping, a' tòiseachadh gu h-oifigeal an-diugh agus e a' coinneachadh ris a' Phrìomhaire agus ri ceannard nan Làbarach, Jeremy Corbyn. Chaidh Rùnaire nan Dùtchannan Cèin, Philip Hammond, às àicheadh gu bheil Breatainn a' cur malairt ri Sìona air thoiseach air ceistean mu chòirichean daonna ann an Sìona. Leig seann mhinistear slàinte nan Làbarach, am Morair Warner, dheth cuip a' phàrtaidh agus e a' gearain air gluasad dhan làimh chlì fo stiùir Jeremy Corbyn. Dh'innis am Morair Warner dhan BhBC nach do rinn am pàrtaidh sgrùdadh sam bith air carson a rinn iad cho dona san taghadh choitcheann sa Chèitean. Tha comhairliche Gàidhealach eile ag iarraidh àite do sgìrean iomallach air Tìr-Mòr ann am Bile nan Eilean. Thuirt an Comhairliche Audrey Nic na Ceàrdaich, a tha a' riochdachadh pàirt de Thaobh Siar Rois, gu bheil sgìrean dùthchail air Tìr-Mòr a cheart cho feumach air cuideachadh 's tha na h-Eileanan. Thàinig beachd den aon t-sheòrsa bho chion ghoirid bhon chomhairliche Sgitheanach, Hamish Friseal. Tha Comhairle na Gàidhealtachd an-diugh a' foillseachadh na h-aithisg conaltraidh mu dheireadh aca air dùnadh maireannach Bun-sgoil Inbhir Àsdail air Taobh Siar Rois. Dhuin a' Chomhairle an sgoil rè-ùine nuair nach robh ach dithis chloinne air fhàgail innte. Tha pàrantan a' cur an aghaidh dùnadh na sgoile le dùil ri co-dhùnadh na Comhairle air an ath-mhìos.